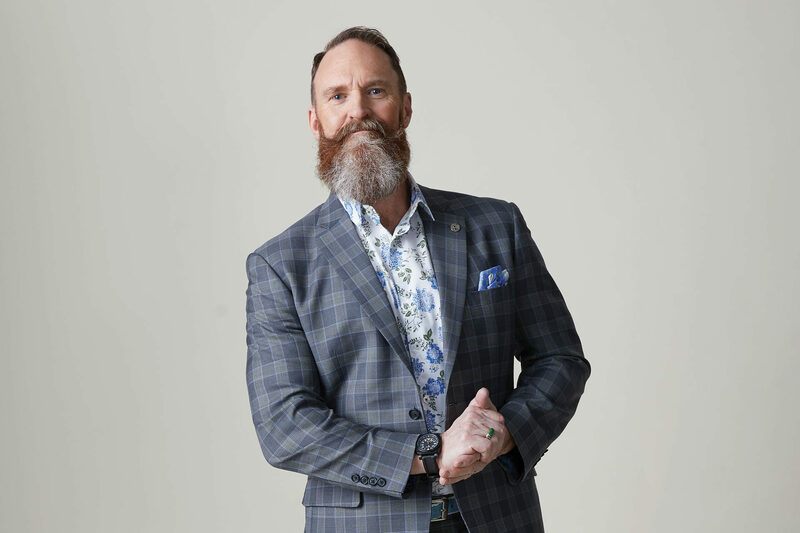 Down, who left private practice as an architect to become the City of Calgary’s chief urban designer, likens his suits to a building’s facade. 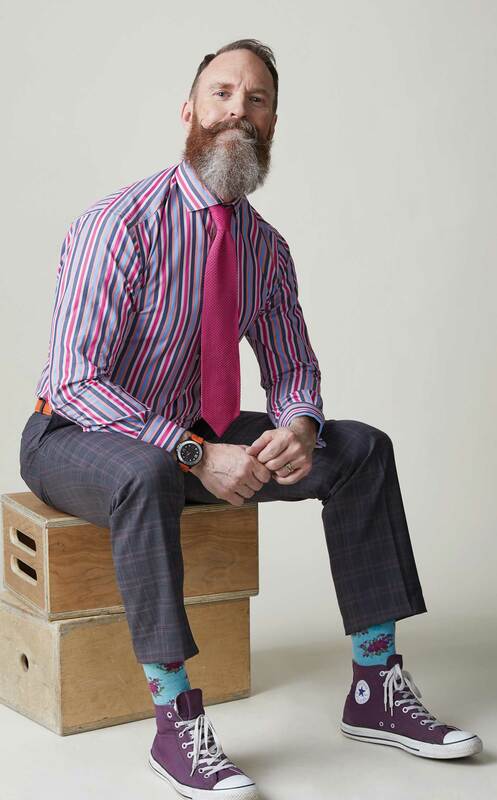 It’s the accessories that provide bursts of colour (like his collection of cufflinks and bright dress shirts) and whimsy (boldly patterned socks). 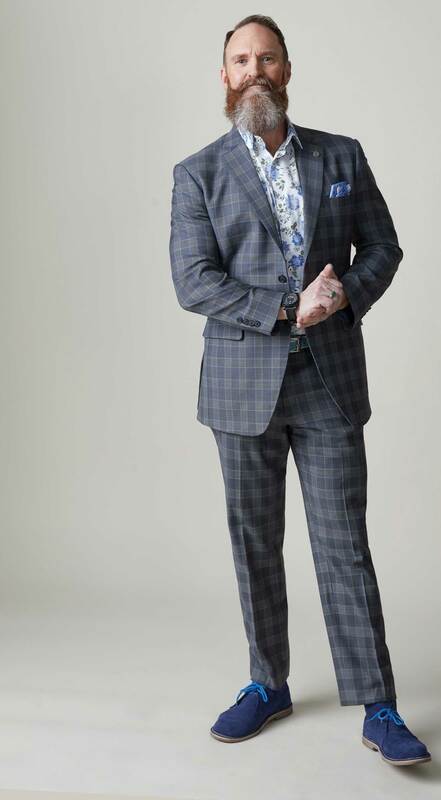 Suit by Maxwell’s Clothiers; shirt by RW & Co.; shoes by Lobo (from Madrid); pocket square by Michael Kors Mens; lapel pin and custom belt from Italy; altimeter watch by Trintec; jade ring (for Chinese New Year) from personal collection. Photography by Colin Way; self-styled by honourees with consultation by Styleista; Makeup by Joanne Black; hair by Sue Thompson. Shirt and pants by Maxwell’s Clothiers; tie by Mahtani’s; socks by Original Penguin; shoes by Converse; belt custom made in Italy; watch by Hugo Boss; cufflinks by Madsquirrel. Photography by Colin Way; self-styled by honourees with consultation by Styleista; Makeup by Joanne Black; hair by Sue Thompson. Shirt and pants by Maxwell’s Clothiers; tie by Mahtani’s; socks by Original Penguin; shoes by Converse; watch by Hugo Boss; cufflinks by Madsquirrel. Photography by Colin Way; self-styled by honourees with consultation by Styleista; Makeup by Joanne Black; hair by Sue Thompson. 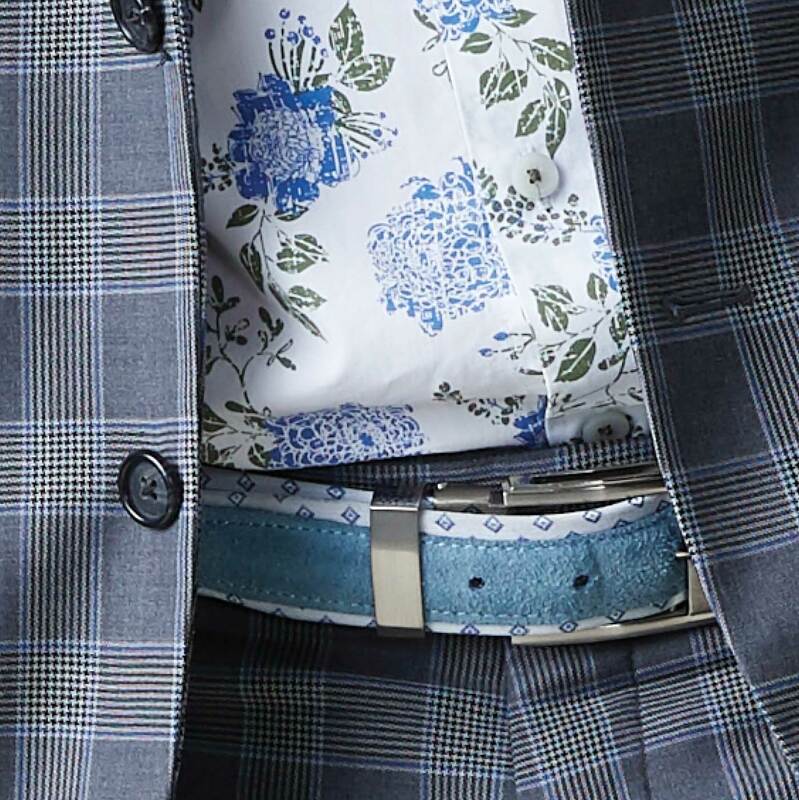 Shirt by Maxwell’s Clothiers; cufflinks by Vetreria Mazzega (Murano glass from Venice); altimeter watch by Trintec; belt custom made in Venice. Photography by Colin Way; self-styled by honourees with consultation by Styleista; Makeup by Joanne Black; hair by Sue Thompson. Closeup of main image belt. Photography by Colin Way; self-styled by honourees with consultation by Styleista; Makeup by Joanne Black; hair by Sue Thompson.